At ODB Translation, we have more than 16 years of experience in providing high-quality, professional translation services in more than 140 languages for a wide range of clients across a diverse variety of industries, including the Life Sciences, Finance, Advertising, Marketing & PR, IT, Telecoms & Electronics, Insurance, Legal, Engineering and Manufacturing. We also provide individual clients with certified translation services for their personal documents, such as birth certificates, passports and academic degrees. With a base of several thousands translators, we can complete even the largest translation projects quickly and cost-effectively. Our strict quality control measures ensure we always maintain high levels of accuracy and style. For more information about what makes us different, please read ABOUT US. At ODB Translation our in-house and freelance proofreaders check the translated material with the original text, and also review the text according to your company's guidelines. We'll go that extra mile for you when it comes to making sure that your material is perfect. At a standard rate, our proofreaders manage to proofread roughly 5,000 words per day. But if you need really fast turnaround we can assign a higher number to take care of your assignment. With a global network of thousands linguists, there are no limits to the service we can provide. The evidence is unequivocal: potential customers are much more likely to buy from websites that address them in their own language. A Common Sense Advisory Survey found that 55% of global consumers said they only buy products from websites that provide them with information in their own language - and that figure is increasing. In today’s online marketplace, competition is high and expectations are higher; consumers need to be convinced to part with their money, and that hurdle is raised significantly higher if you neglect the localization of your content. It stands to reason that professional website translation and localization offers one of the most substantial returns on investment for businesses seeking to expand their global reach. This is especially true when the relatively small initial outlay is compared with the gains that can be made. And with internet access and expenditure greatly increasing around the world, English-speaking companies are wise to focus on engaging with new markets, audiences and potential customers on their own terms. At ODB Translation, we have some of the most experienced and qualified translators and developers within our global network. We have years' worth of experience in translating and localizing e-commerce websites and software for the likes of French Connection, Evidon & Mitsubishi, and many more. 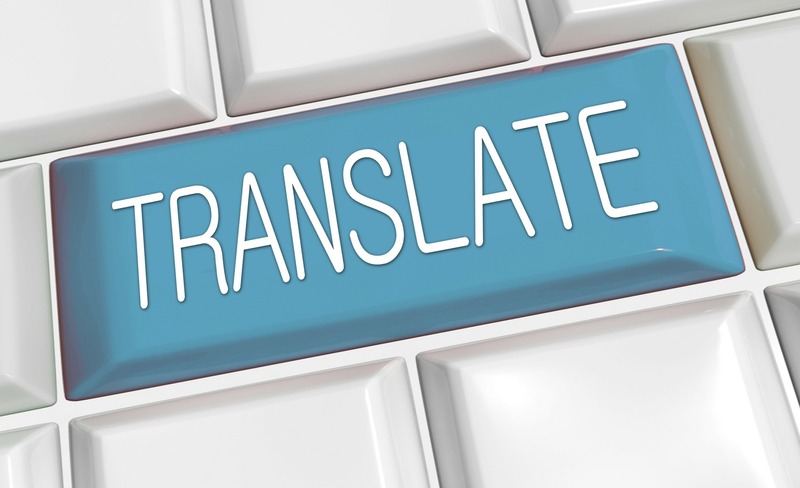 So, what exactly is the difference between translation and localization? Put simply, translation focuses mainly on the conversion of lexical units and strings from the source to the target language, while localization takes social and aesthetic differences of the target demographic into account. It could be summed up as ‘cultural customization’. These factors are vital to making the language of the website seem natural and native. Examples of these non-linguistic translation tasks that make up the tasks of localization are the different formats of dates around the world or what currency symbols and conventions are used - for example, the Russian ruble symbol will appear behind the number, but the Pound symbol (£) will appear before. Similarly, it is wise to be attuned to the standards of payment options in your target market – people are careful with their money, and you can avoid putting them off by making sure they can pay in a way that suits them. Localization is essentially website translation that incorporates development and design, based on your target audience's cultural tastes and preferences. Specialized developers will then make sure that the strings and variables match the target language. Our editors come from diverse backgrounds, such as marketing and journalism, and offer practical guidance when crafting your message for your target audience. At ODB Translation, our copy editing services offer the final seal of approval to your project, making sure that your translation reads as if it were written in the target language. 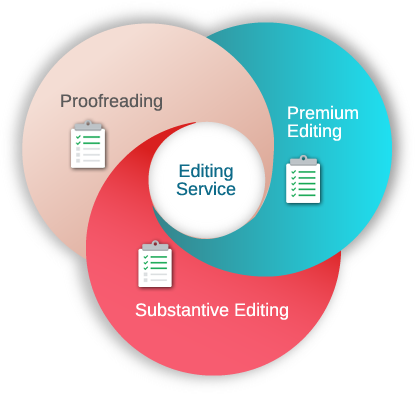 Generally, our editing services involve flagging and researching any terms that raise doubts and establishing whether a better, more accurate phrasing works better. Sometimes, however, a radical rewrite serves the best purpose. The best proofreaders know how to follow the rules, but also understand when to break them to good effect. As a client, you have no need to worry, since a repeated editing process will not cost you extra. These terms are clearly stipulated in the linguists' contracts and in our indemnity insurance. It is important to understand the difference between our proofreading and copy editing services. While our editors will try to improve phrasing and flag any contextual errors, our proofreaders, generally speaking, will usually only look for grammatical, syntax and spelling mistakes. Please be aware that each service carries a different rate. After checking the translated material with the original text, the editor will generally only recommend their changes in side notes or through Track Changes, a common feature in Microsoft Word, rather than apply them to the final document. The edited version of the text will then be send back to the original translator and, if possible, the dedicated project manager, to consider. It is important, therefore, that our team of project managers continually monitor and liaise between the two linguists. Translation memory (TM) helps clients save money on their translation projects, reduce turnaround times and increases translation consistency. This is particularly useful, as it allows linguists to access a large database of translated terminology, ensuring that specific technical terms and phrases are consistent with previous translations, thereby increasing the quality. Translation memory analyses repetitions and seeks out any matches (whether they be identical or similar) that are stored in the TM database. For translators, proofreaders and editors, this may mean less work on their side, reducing costs and turnaround time. Investing in state-of-the art translation memory software has boosted our productivity enormously, and allowed us to handle large-scale projects with greater ease, while always ensuring a timely delivery at a competitive price and never falling short on quality. Found a cheaper provider? If that's the case, we promise to price match and strive to beat their turnaround time. Another tool we use at ODB Translations is SDL Trados. our worldwide network of translators, proofreaders and editors, as well as our in-house project management team, have access to SDL Trados Studios, one of the most powerful Translation Memory platforms on the market. The platform is compatible with a range of file formats, making it ideal for document translation, desktop publishing and website localisation projects. As one of the most popular languages used in everyday communications throughout the world the humble emoji has a lot to say. A small picture can represent a thousand words and where time is a premium, emojis are often used in place of common words and phrases. Not only are they used in personal communications, they also feature in messages between businesses too. Used across a variety of platforms from Apple through to Android, the appearance of the emoji does vary slightly and the meanings can also change between cultures and countries. It is therefore important that any translation service of the emoji language is accurate and culturally correct. With emojis featuring in many different types of communications from email messages and social media posts through to text messages the recipient may need some assistance with translation. That’s where we come in. As one of the fastest growing languages what do you do if you receive a document and it is filled with emojis? We specialize in comprehensive emoji translation services, helping you understand what is being said and make sure others understand what you have to say. We can help you translate text to emoji or emoji to text for any purpose. Alternatively you may want to distribute an innovative marketing message to your customers who you know use emojis a lot. We can help you do just that from supporting the development of a unique marketing campaign that makes a lasting impression through to the completion of complex projects and assignments. Translation of emojis can be difficult, with many cultural variations and meanings making it even more complex. However, using our knowledge and expertise, we can deliver the right translations in the correct context.